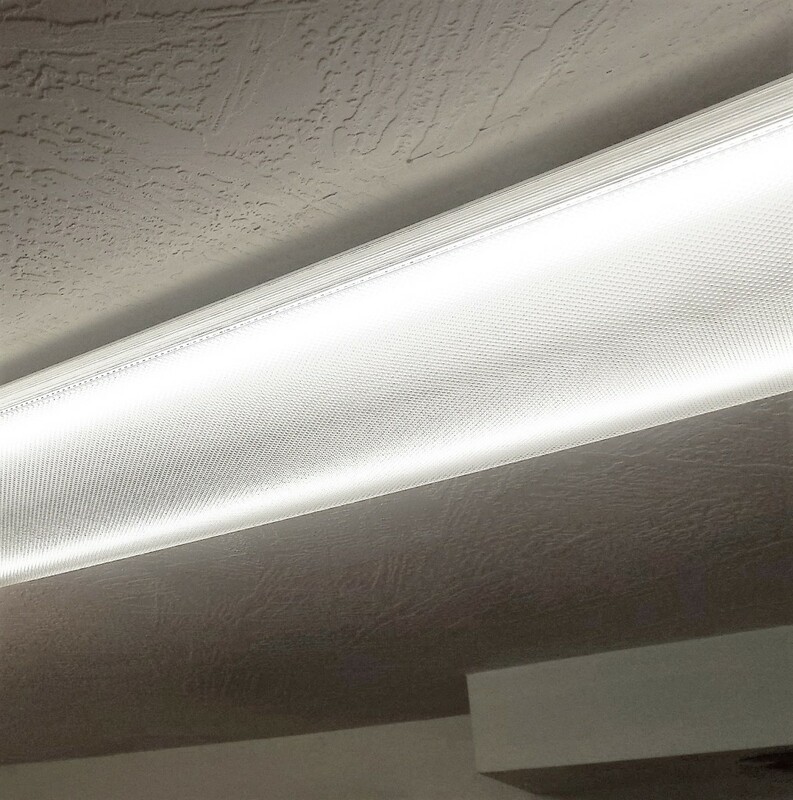 Installing new LED tubes into fluorescent fixtures is a quick and easy task that can be accomplished by any homeowner. The basic steps are shown below, with detailed instructions for each one following. Choose the style and color for the new LED lights. Remove the ballast cover, cut the wires to it and remove the ballast. Replace the lamp holders as necessary. Wire the lamp holders for LED operation. Turn on the power and test the light. 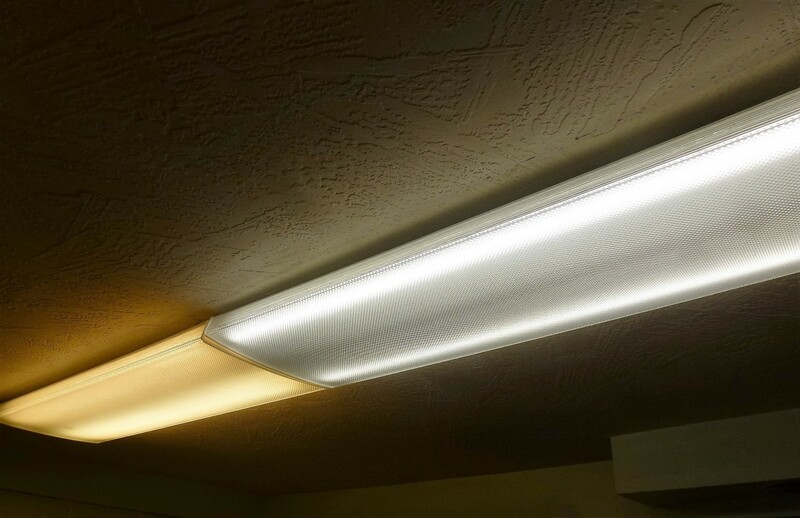 There are three basic styles of LED tubes that can be purchased: single end power, dual end power and those that work either with or without the fluorescent ballast. Single end power. 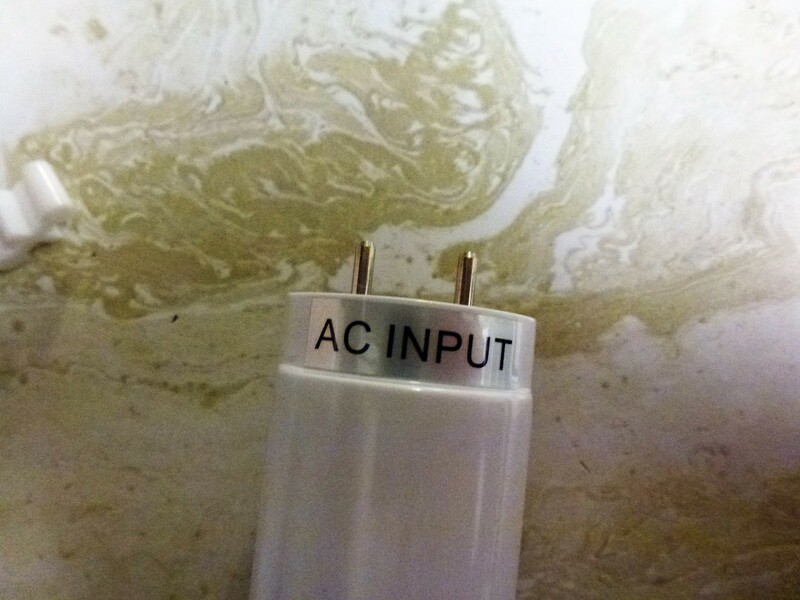 This lamp requires that the power be supplied to just one end of the lamp, and is the preferred choice as it is easier to wire and generally cheaper. Dual end power. The lamp requires that power be supplied to both ends of the lamp, one wire to each end. A little more expensive, and requires running a wire to both ends. Lamps that can use the existing ballast. This lamp can be simply put into place without any re-wiring, but left unsaid is what happens when the ballast dies. It is also even more expensive, and that is a concern as these lamps are not cheap. As the task of re-wiring is so simple, I do not recommend these lamps, as in the future it is inevitable that additional work will be required when the old ballast finally quits. Next, the color of the lamp must be chosen. Color is measured in degrees Kelvin, with high numbers being more white or blue colored and lower numbers tending towards a warmer, yellowish look. For the example used in this article, a 4000K lamp was chosen: it will be in a kitchen where a whiter, more daylight look is preferable. A living area or bedroom might look better with a warmer lamp. I chose Hyperikon lamps from Amazon as the best all-around deal. These lamps come with a new lamp holder, or "tombstone," which will be necessary with later model light fixtures and made the additional purchase of new tombstones unnecessary. These are the lamps ordered for the example used here. Single end, 4000K color and comes with new tombstones. I have used these same lamps before and found them to be excellent. Safety is imperative when working with electricity. This is a tool that is always in my pocket as a professional electrician and I very highly recommend it for anyone doing electrical work. I prefer the Fluke brand shown here as Fluke has a very good name and makes all kinds of electrical meters. It uses common AAA batteries rather than the flat watch batteries most cheaper models have. The next step is to remove the ballast, but first it has to be found. 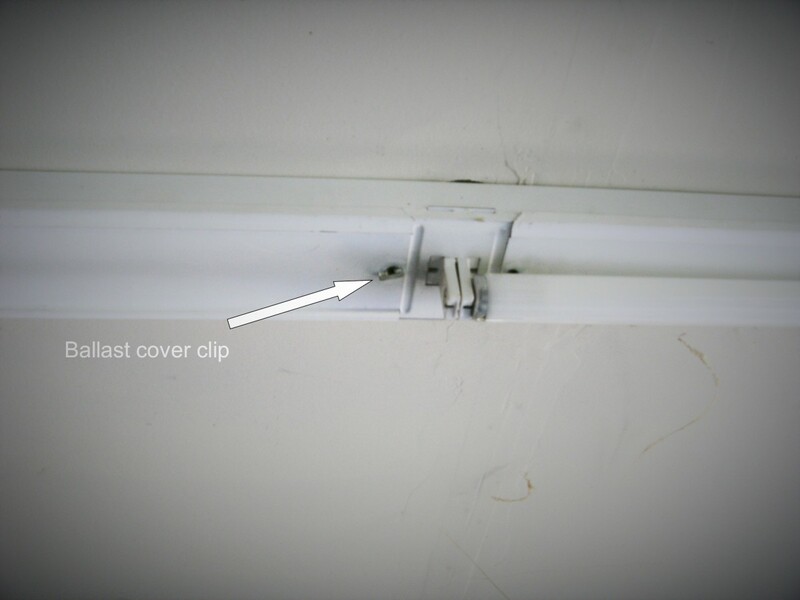 Most 4 foot fixtures have a cover in the center that is either removed by twisting a small clip or squeezing the cover to disengage clips down each edge. 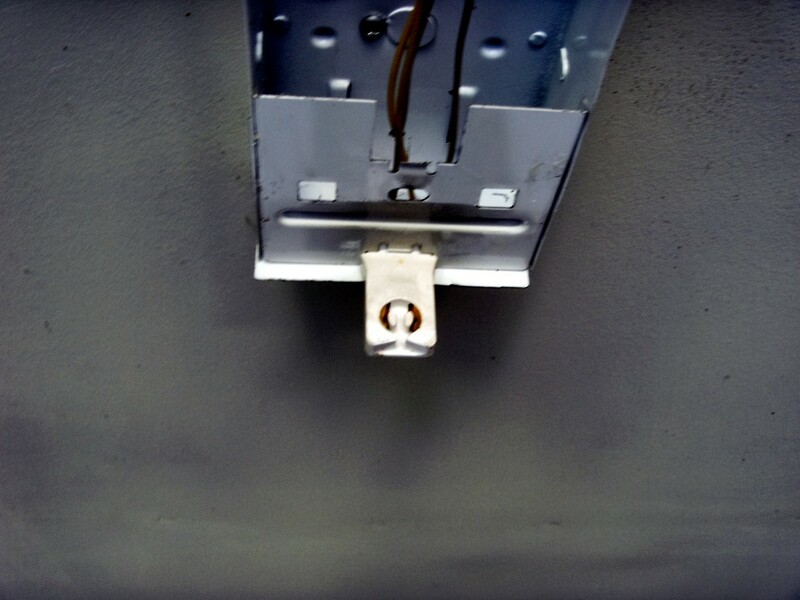 Whatever the style of your own fixture, that ballast is designed to be changed as necessary and can be found without undue effort. TURN OFF THE POWER! There isn't much worse than being shocked while doing electrical work, so make sure the power is off. If there are other people in the house, consider taping the switch off as well, just to make sure that someone doesn't unthinkingly turn it back on when they enter a dark room. Remove the lamps and set aside. Remove the ballast cover. Before proceeding further, it is a very good idea to double check to make sure that the power has been turned off. 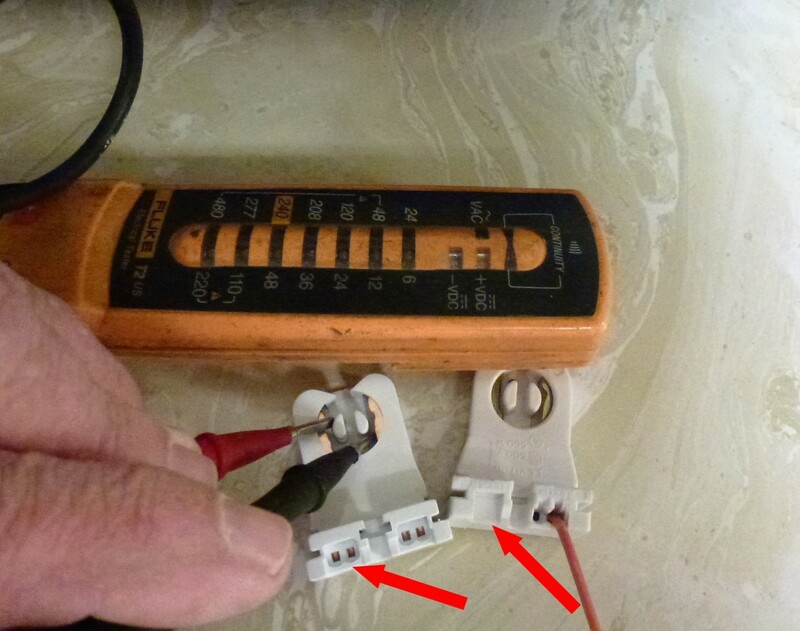 Shown in the picture is the use of a non-contact voltage tester that can detect the presence of power without actually touching anything. 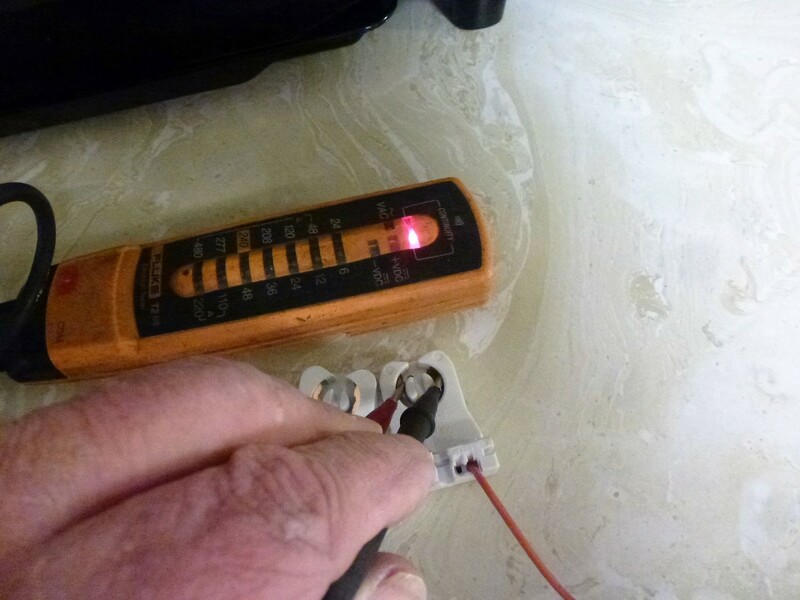 A word of caution about these voltage testers: if there is a fluorescent light operating within several feet the tester may pick it up and indicate power when there isn't any. I've never had one give a false negative (if it says there is no power, there isn't), but false positives are common around fluorescent lights. I'll live with that as I would much rather think there is a live wire when there isn't than think everything is dead and get shocked when it turns out that it is live. Cut all wires about 2" from both ends of the ballast. I generally save the ballast for possible future use, and it's nice to have enough wire left to do that should I find a use for the old ballast. In addition, the black and white wires will be spliced to the incoming power lines; remove the wire nuts and the ballast wires, saving the small black and white wires for use later. 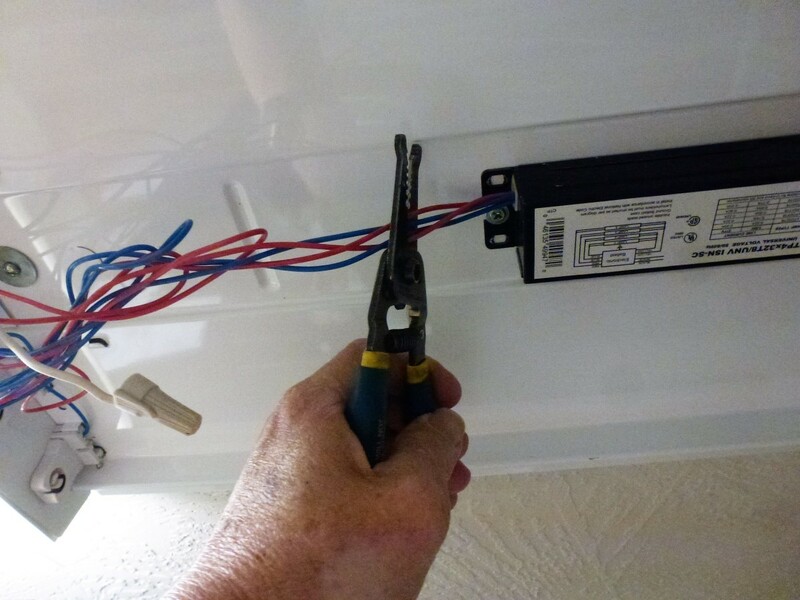 As a safety measure, replace the wire nut onto the power wires; yes, you've already turned off the power, but a little extra precaution never hurts. Safety first, always! 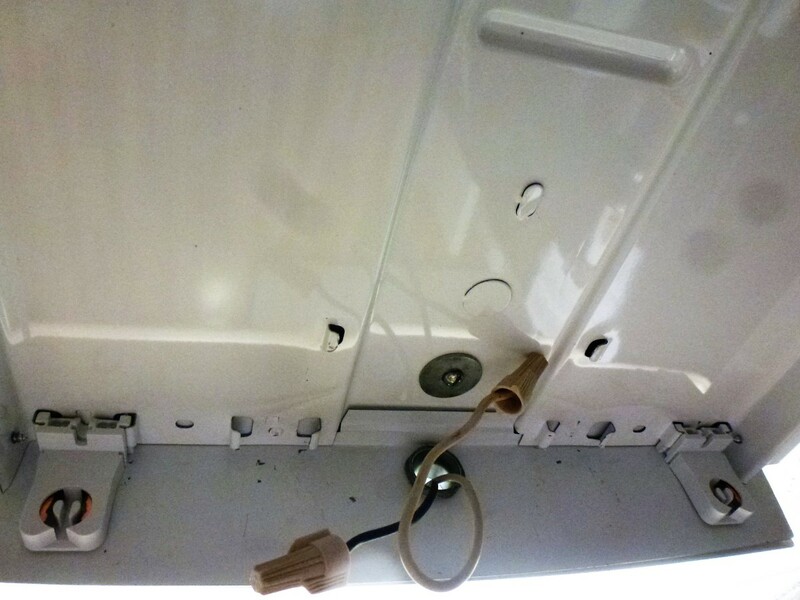 Most ballasts have a screw on one end holding it to the fixture and is slid under a clip on the other. 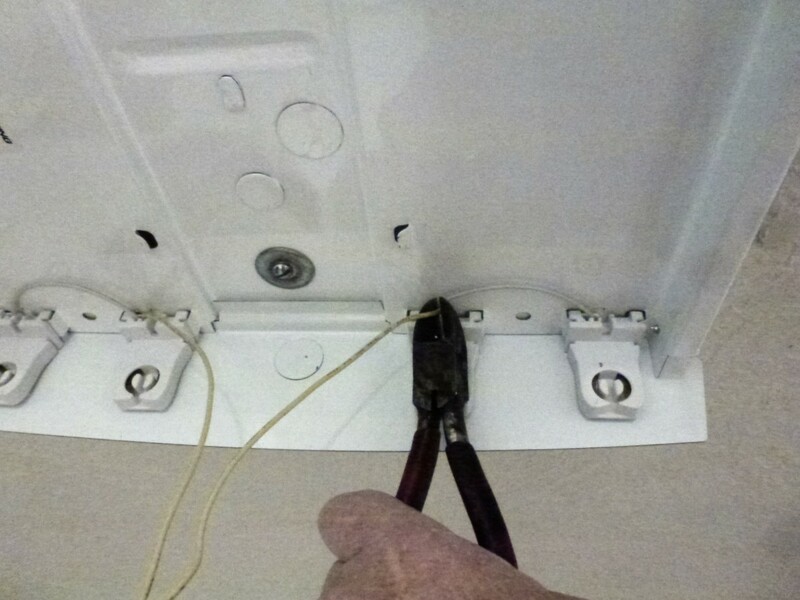 Remove the screw (pliers or a 9/32" nut driver are often required) and slide the ballast from under the clip. Set it aside. 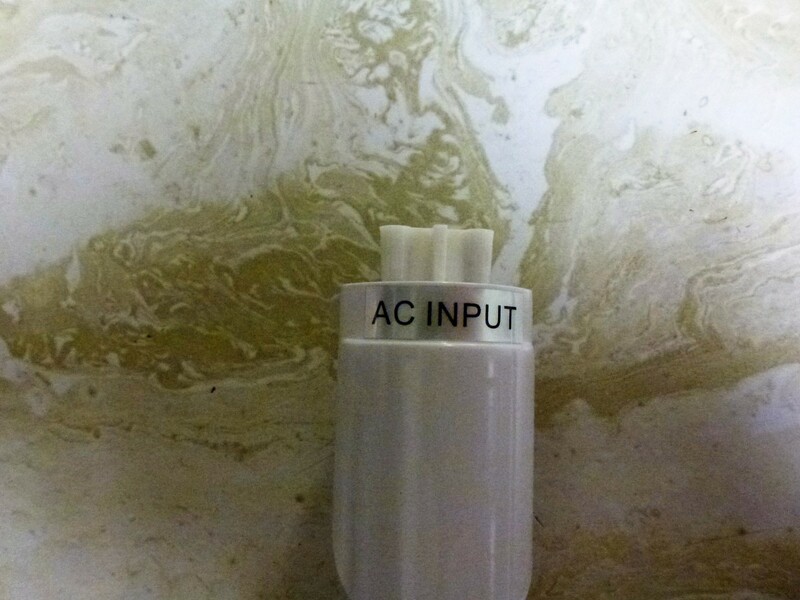 There are several kinds of ballasts, with the most common being the "instant start" variety. 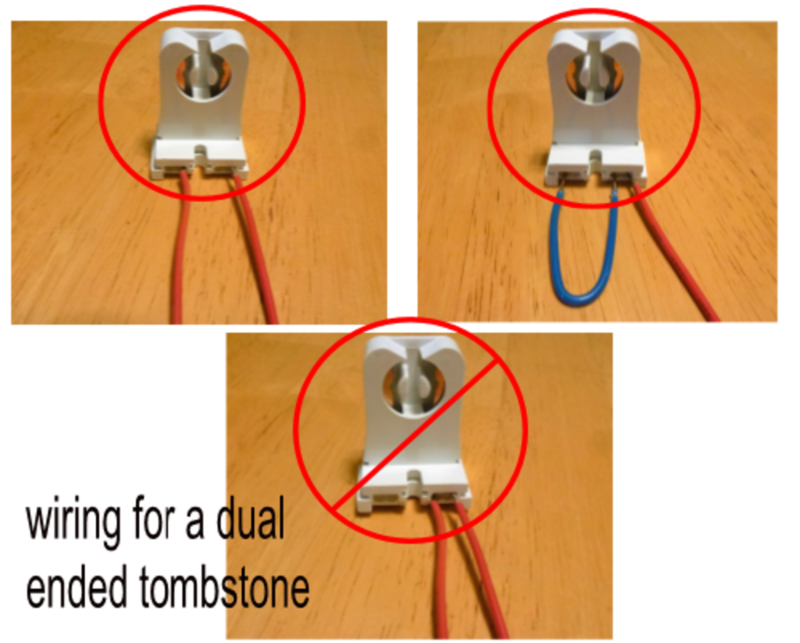 Instant start ballasts can be identified by the presence of only one wire on each end of the tombstone rather than two. While there may be two wires, one of them will go to another tombstone, powering it as well as the first, with only one going to the ballast. 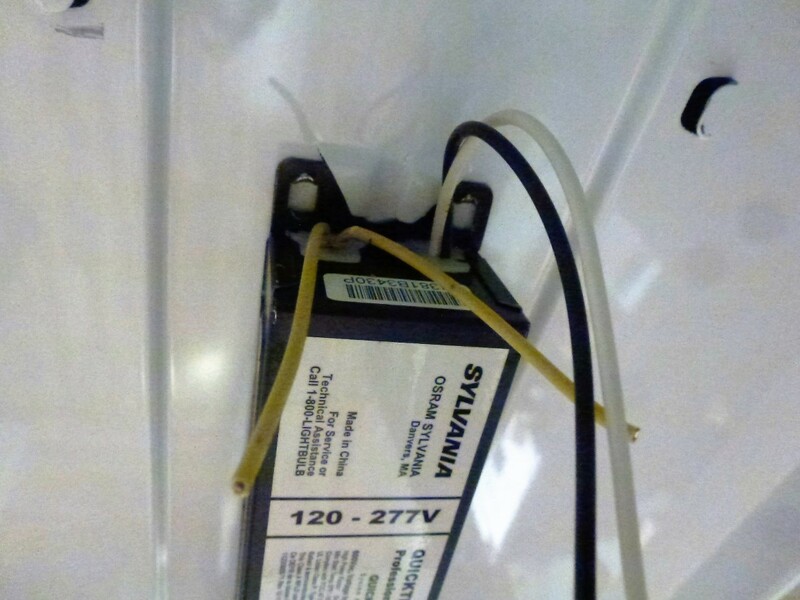 Instant start ballasts are generally marked as such as well. 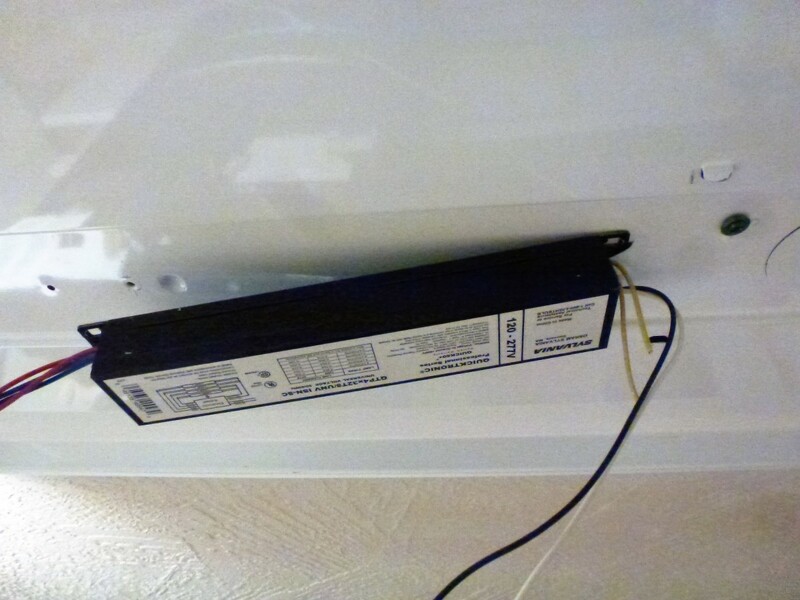 Magnetic and electronic ballasts, on the other hand, will always have at least two wires to each end of each tombstone. 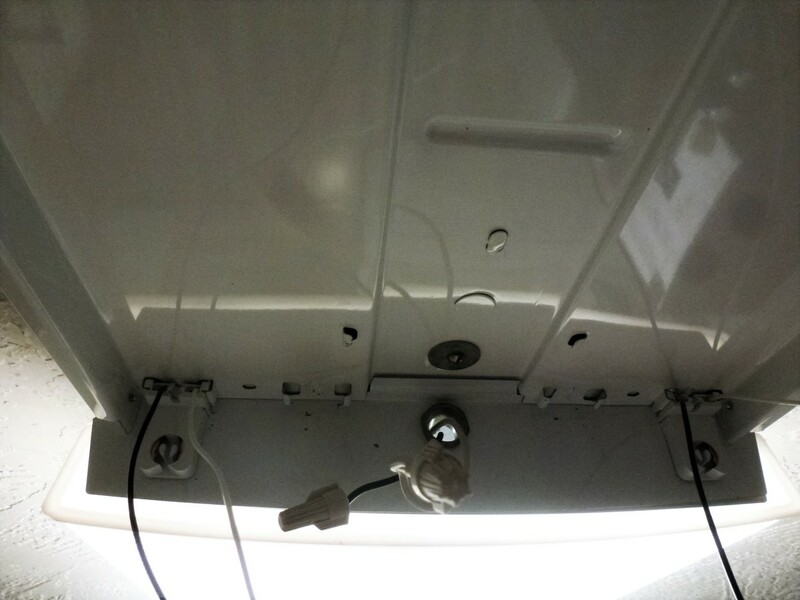 The tombstones on instant start ballasts are "shunted" internally; that is, both sides of the tombstone are hooked together. In general, there is only one pair of connections, on one side of the tombstone, that can be made, and the other side is blocked off and unusable. The photo below shows this. A single-ended LED tube requires two connections at the tombstone, so those used for an instant start ballast cannot be used to supply electricity to the lamp. The other end, however, is nothing but a holder for the lamp and will have no electrical connections: any tombstone will work there. Tombstones are generally held in place by sliding them into a slot. 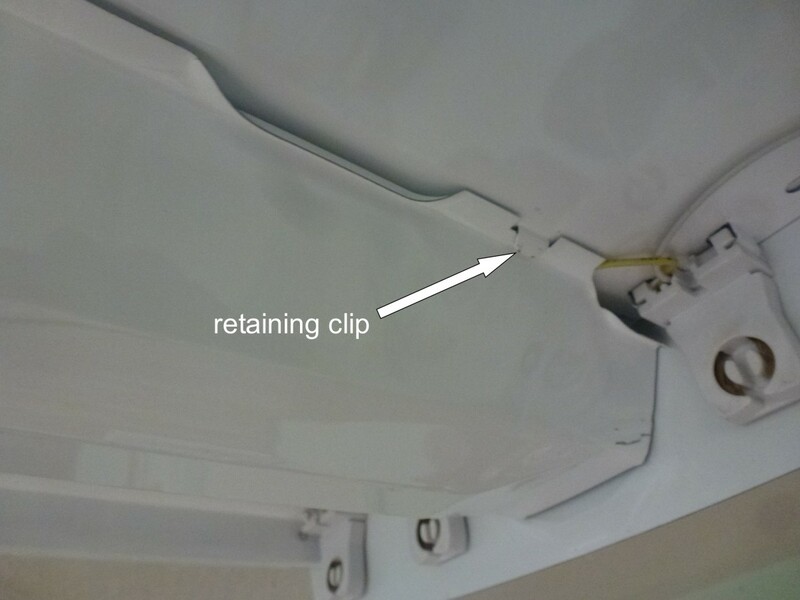 In some cases, the fixture must be partially disassembled, in others it is a simple matter of sliding the tombstone out of the slot. The photos below show two possibilities. Check any tombstones to be reused for damage. It is not uncommon for old tombstones to be broken either from long exposure to heat or from replacing the lamps. If damage is found it is best to replace them. Tombstones are readily available and are inexpensive, so if yours are damaged install new ones. Strip about 1/2" of insulation from the ends of two wires. It is preferable to use black and white wires, and the pieces that were attached to the ballast will do fine if they are long enough. If not, any two colors may be used, but try and use the same colors if you have multiple tombstones to wire. Push the stripped wire into the tombstone firmly, and tug on it to make sure it won't fall out. Only the tombstones on one end of the lamp are to be wired. The ones on the other end need the wires cut off as short as possible. 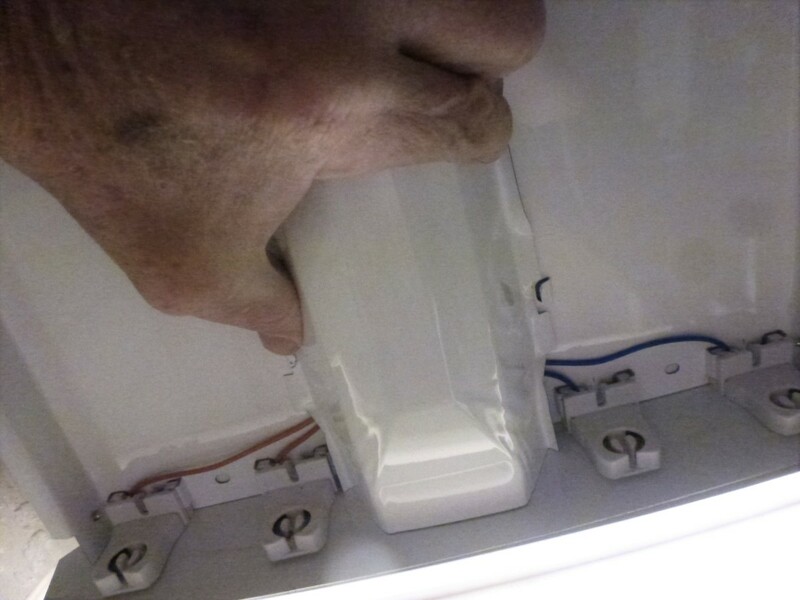 All white wires (or other color you choose) are spliced to the white incoming power wire with a wire nut. All black wires (or other color) are spliced to the black incoming power wire, again with a wire nut. You will end up with the large power wire, plus one wire from each tombstone, in each wire nut. 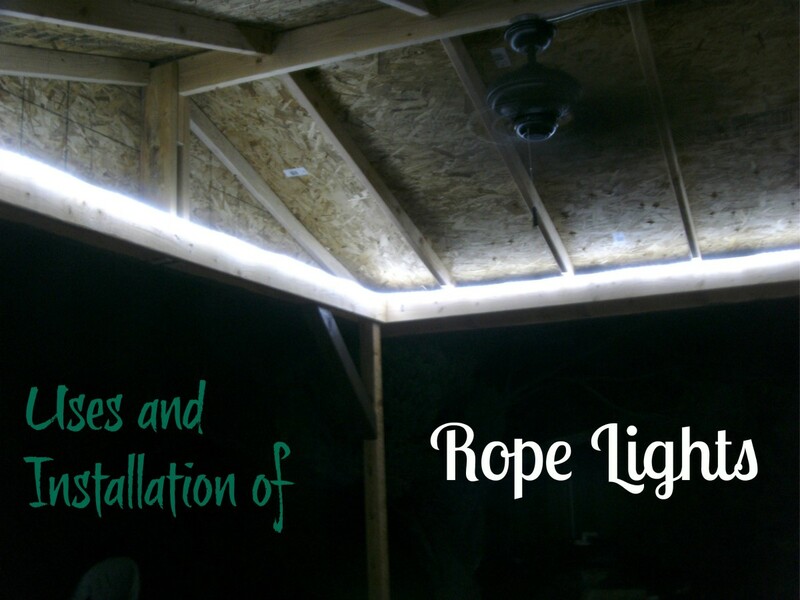 If your LED tube is dual ended, one wire from each end will splice to the power lines: one end of the new tube to the black and the other to the white. You will again end up with a large power line plus one wire from each lamp in each wire nut. If the old tombstone already has two wires in it, one on each side of the tombstone, they may be reused if long enough. 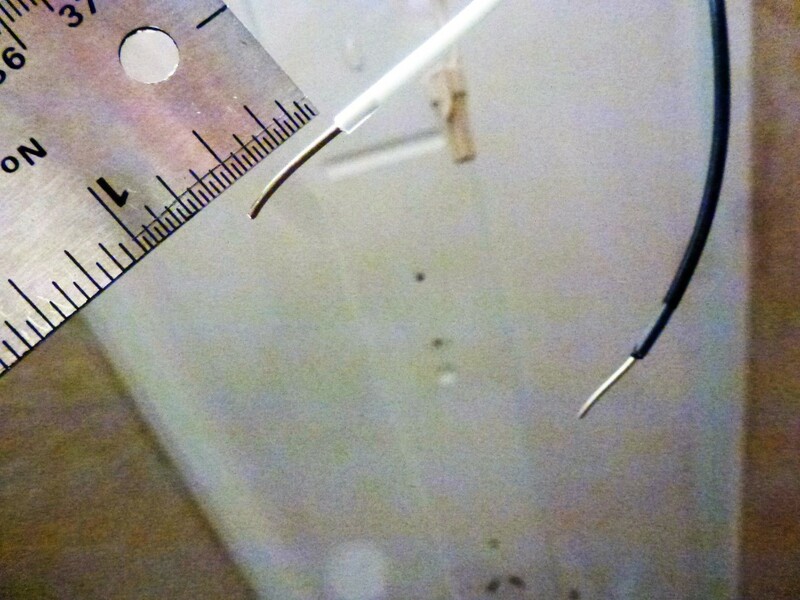 If the wires are not long enough they can be removed by twisting and pulling on them, or they can be cut off and another wire installed in the hole immediately adjacent to the old wire. 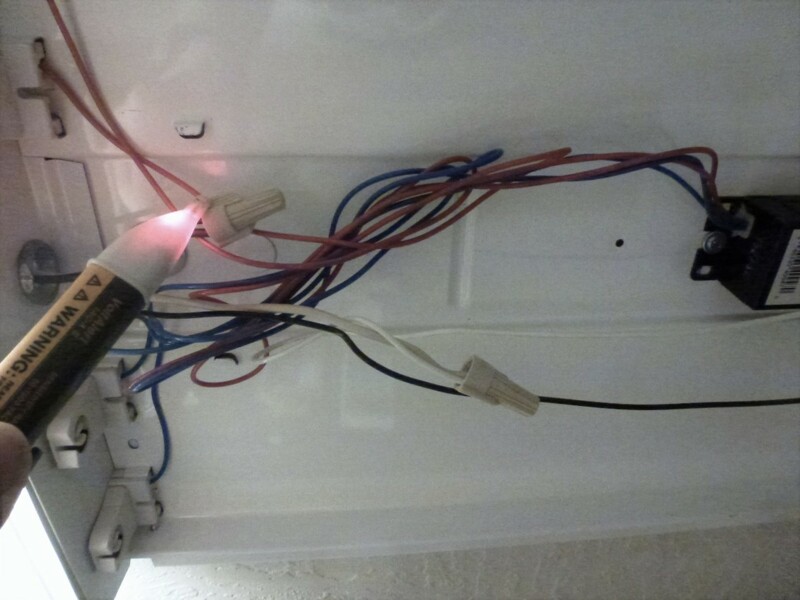 One wire from each tombstone is to be spliced to the white incoming power wire, using a wire nut. The other wire will be spliced to the black incoming power wire. Try to match the colors of the wires going to each power wire, but it is not of extreme importance. If your new LED lamp is dual ended, both wires from each end will be used to splice to the incoming power line, with the pair from one end going to white and the pair from the other end going to black. Alternatively, one wire from each tombstone can be cut short, insulation stripped, and "jumped" to the other side of the same tombstone. 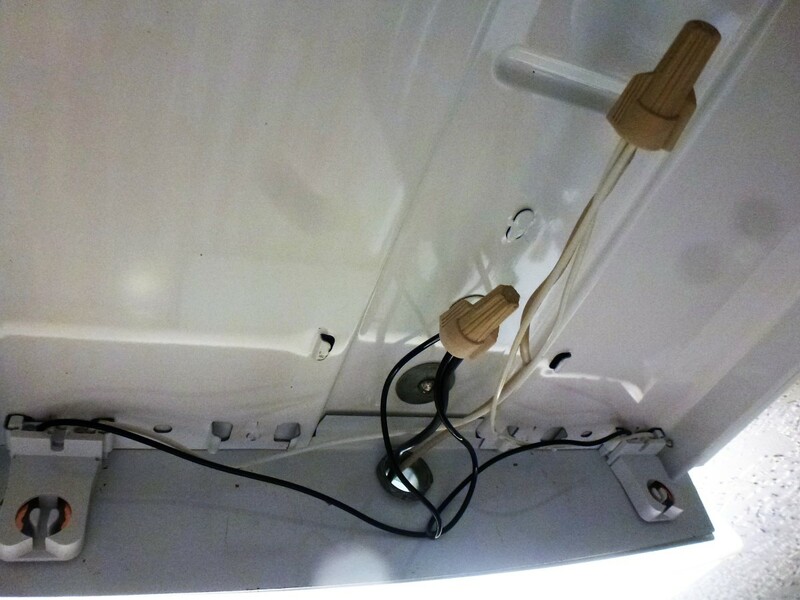 With the wiring completed, carefully fold the wires into the space to be covered by the ballast cover. While a little wire will often be outside the cover, make it as neat as possible and be sure that the cover will not pinch or cut the wires. Put the ballast cover back into place. It is a good idea to mark the fixture if the appearance is not objectionable, indicating that LED lamps are installed, the color of the new lamp, whether single or dual ended and which end is powered. Some new lamps come with a sticker, or a marker can be used to write on the ballast cover. 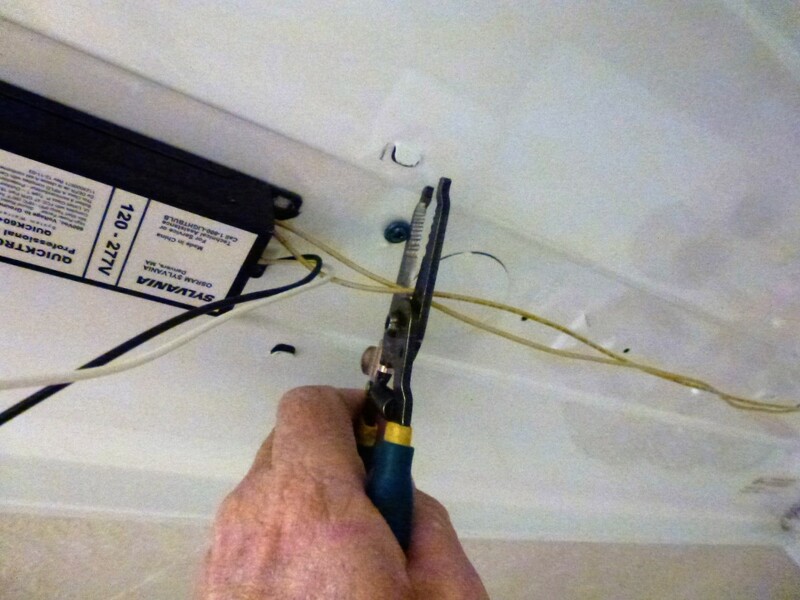 Install the new LED lamps, making sure that if they are single ended that the end with the "Power Here" label is in the tombstone wired to accept them. Your new lamps may have protective covers on the pins that fit into the tombstones; if so simply pull them off and discard them. 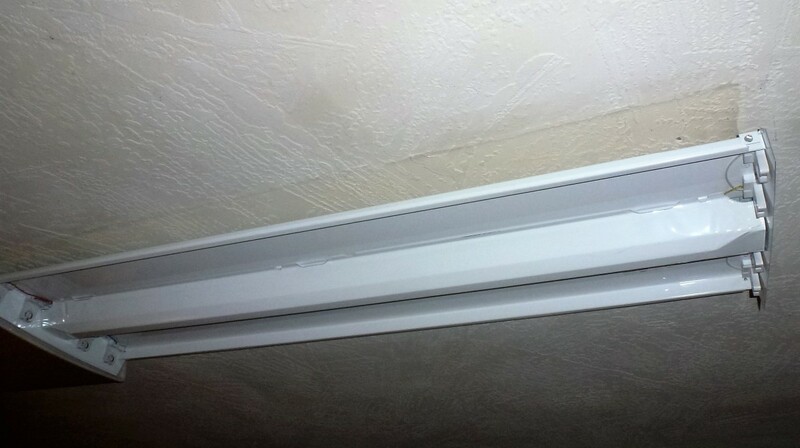 LED tubes only shine light in one direction, so make sure that that side is pointing down. Turn on the power and, if necessary, the light switch. Reinstall any plastic covers or lenses that were removed. 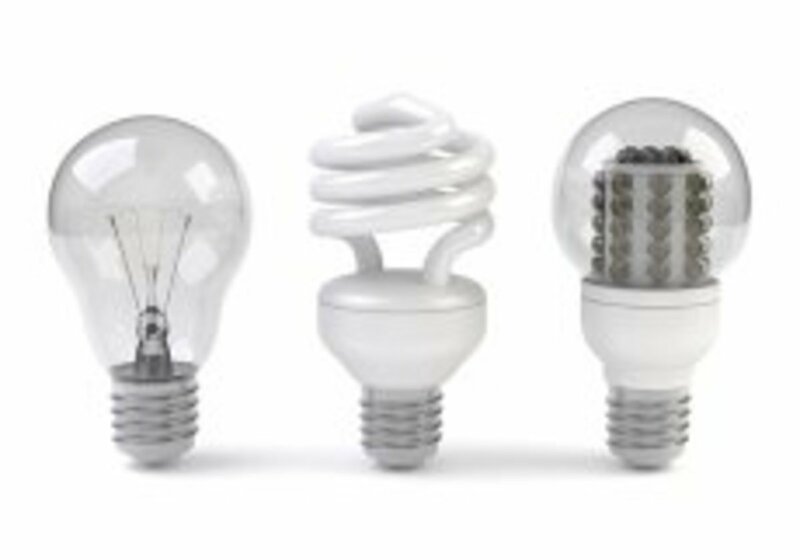 If you have a moment, please fill out the poll below and tell us what most influenced your choice to change from fluorescent tubes to LED lamps. Why Did You Decide To Change To LED Lamps? Where can l buy a dual-ended LED light? Home improvement stores carry them, and so does Amazon. 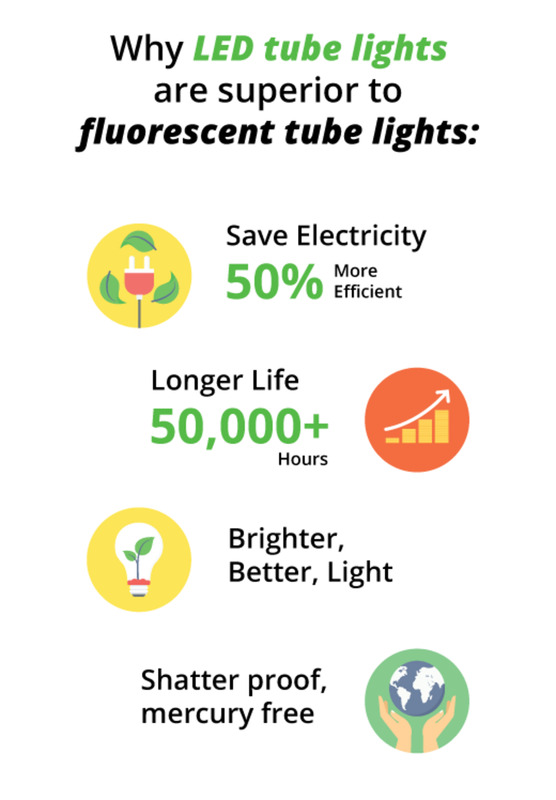 Can You Replace Fluorescent Tubes With T8 LED Tube Light? LED vs Fluorescent vs Halogen Lights: What Is the Difference? 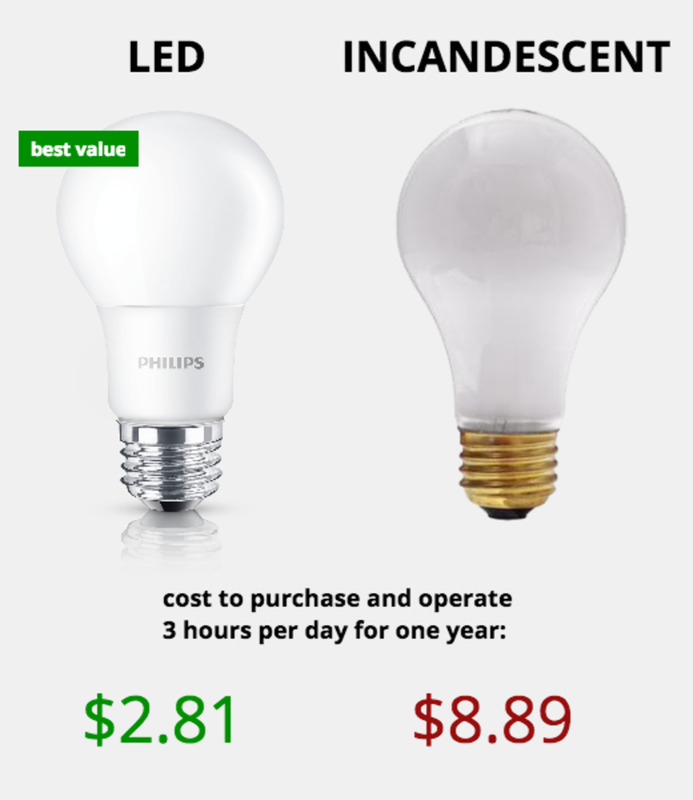 Light Bulb Types: How Much Do LED Lights Save per Year? Thank you very much for this excellent and detailed article. 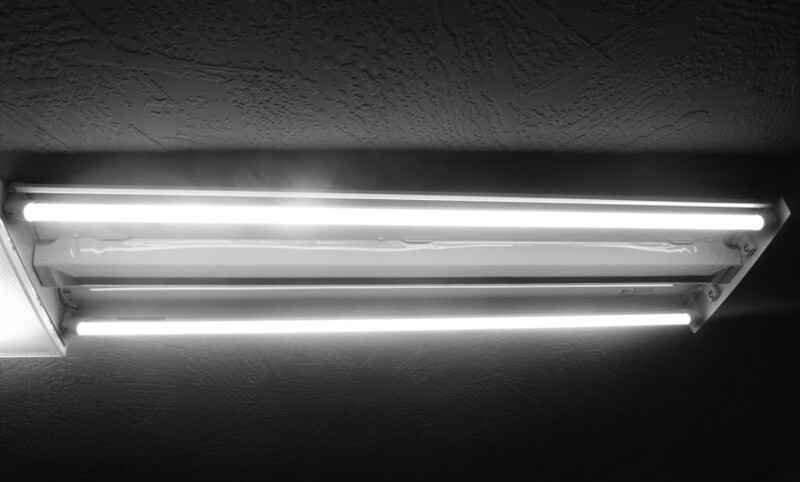 I had bought replacements for my fluorescent tubes as they did not turn on very well - sometimes only after 15 minutes or more. First I was disappointed that they flickered. 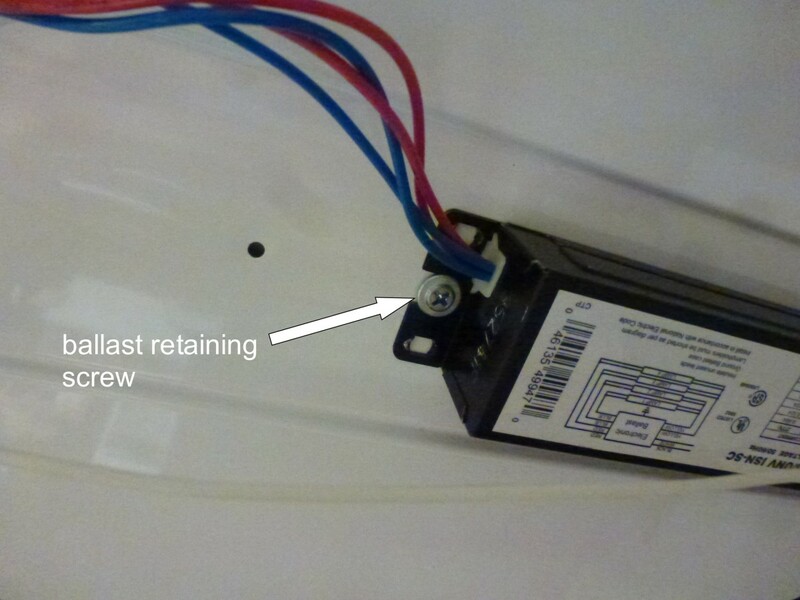 Then I reread the article description and got aware of the needed rewiring (removal of the ballast). Thanks to your article, I was able to do this myself (some prior knowledge was present) and saved the money for a professional. I have two lamps each with 4x2ft tubes, I decided for dual-ended powered tubes, replaced the tombstones - may have not been needed but fresh wiring seemed easier to me as is was quite a mess before. It took some time and now they work brilliantly. It's just marvelous to have a brightly illuminated kitchen and save money for power - even more because they switch on instantly and I do not let them on "for later". To each their own, I guess. I prefer the single end for wiring and have found that most of the ones I've installed require new tombstones anyway as the old ones need replacement simply from age. In addition, the lamps I purchase come with new tombstones, which means I don't have to buy any. But I can see the other side as well, so really think it is up to the owner. 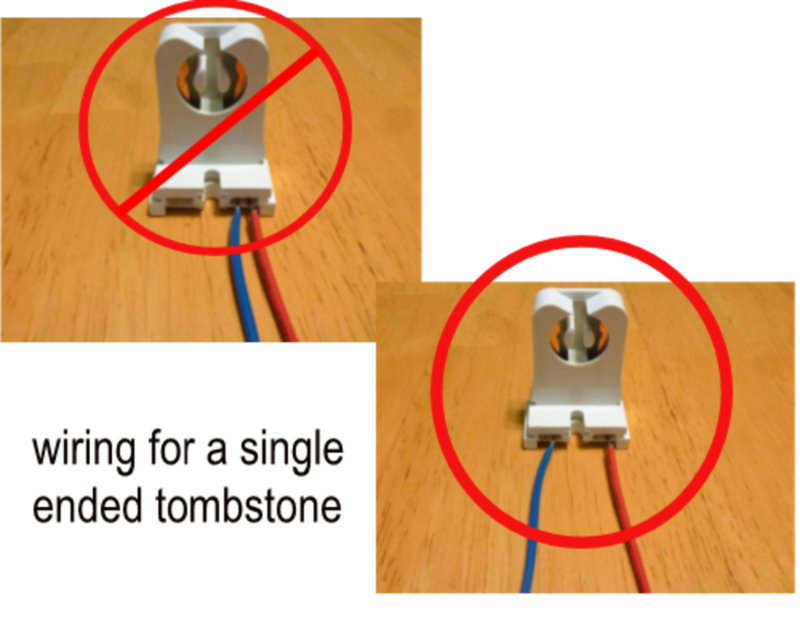 I totally disagree with your statement about using Single end power being the "preferred choice as it is easier to wire and generally cheaper." I will agree with you that they are cheaper, but that is where it ends. Before I defend my comment, Google "which is better double-ended powered or single ended powered LED's. Venders and end-users hands down prefer doubled-ended! The double-ended powered LED's will accept non-shunted or shunted tombstones. They also allow the bulb to be installed in either direction. I have installed both and totally agree with the rest of the world. High Dan, you are well ahead of us in making lighting more energy efficient (eco-friendly) in the home. About half of our lighting is still the old tungsten bulbs, although we are gradually replacing them with the more energy efficient halogen lightbulbs (when the old ones die); and last month we bought our first box of ‘retro fit’ LED lightbulbs. Our slowness in making the switch to more eco-friendly lighting is quite amusing in that my wife buys the lightbulbs and I pay the electricity bill. Consequently my wife tends to buy the cheapest she can find, which tends to be the lease energy efficient bulbs; but with UK Government Legislation banning the manufacture and import of the less energy efficient bulbs my wife has found it increasingly difficult to buy cheaper bulbs as existing stocks on the market dry up. We have a suspended ceiling in our kitchen, to which I fitted two 2ft x 2ft florescent light panels 8 years ago when we renovated the kitchen. 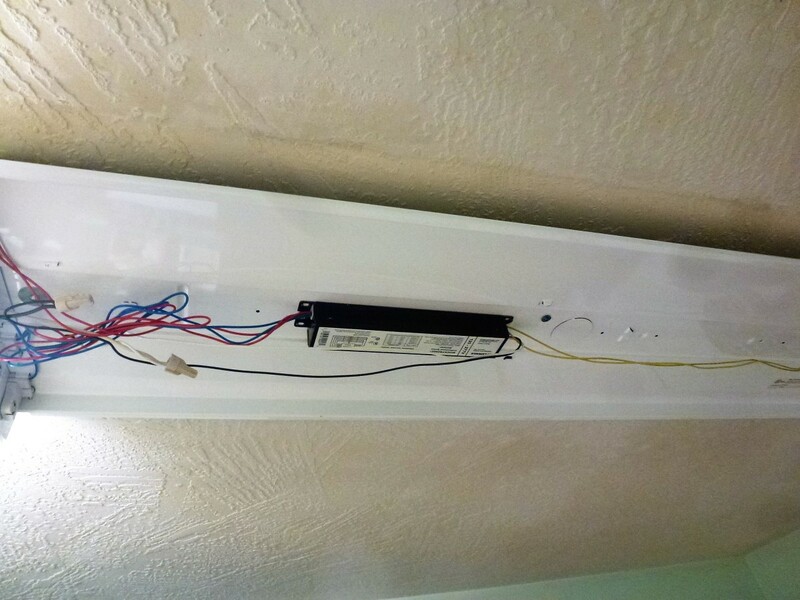 Last year I had to replace most of the florescent tubes and their starters, and just after I placed the order for the tubes and starters I stumbled across replacement LED suspended ceiling panels. So at some point I will buy the new panels; but I haven’t yet decided which panels to buy as there is quite a wide choice in the UK market. 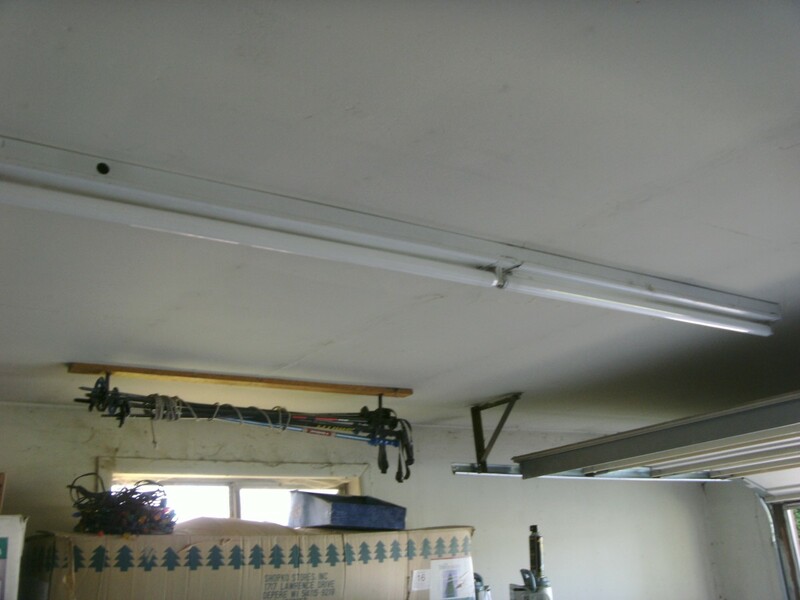 I know that in the long run it makes economic sense to replace the suspended ceiling lighting panels in our kitchen, and it would be good for the environment. In this respect, your article has reminded me that I should do this sooner rather than later; so thanks. Hi Eric. 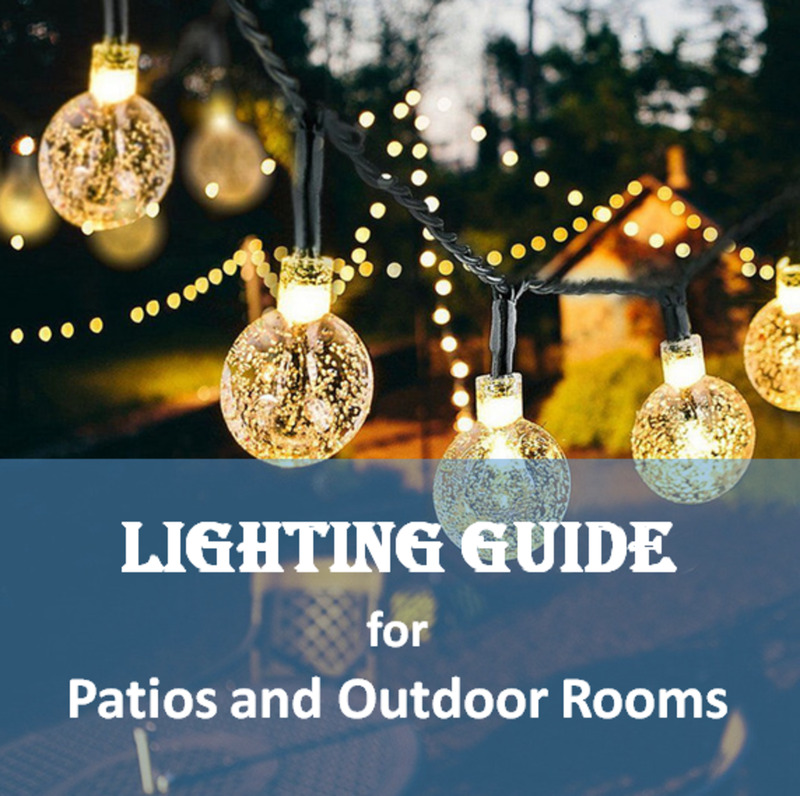 You might consider putting in high wattage, bright, lights...and then put dimmers in. Incandescent, fluorescent and LED lights can all be purchased as dimmable, although not all fluorescent or LED's are. Switching from incandescent to either fluorescent allows much more lumens per watt, so fixtures won't be overheated with higher light output bulbs. Dang it we are having issues. My wife is from one of those developing countries and has eyesight that is made worse by "mood lighting". We kind of like the rather ugly straight forward on the wall. F0r sure I can read in bright light and need glasses in dim. So we don't want to rewire for many reasons. 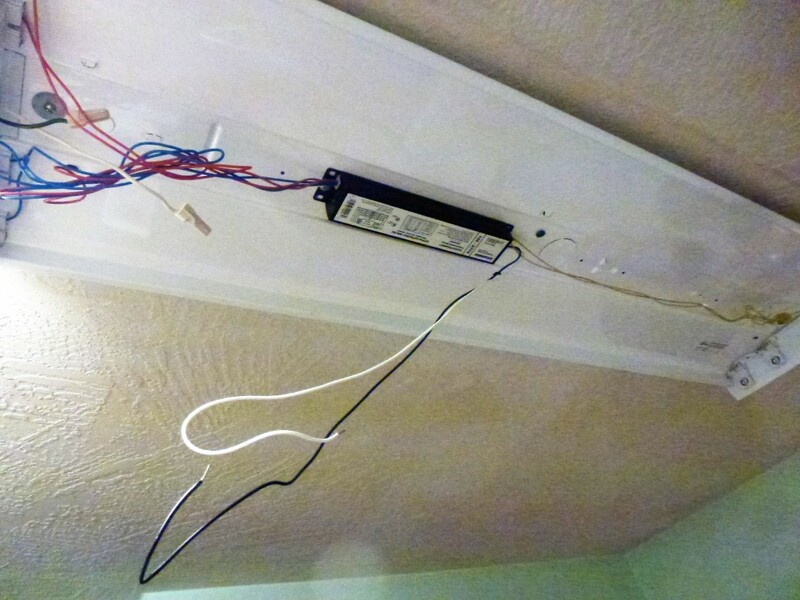 We just want strips like under counter strips to make way bright our rooms on choice -- wall mounted bright. I know it is not aesthetic. So be it.